The Las Conchas Fire began 26 June 2011 and spread at a rate of 26,000 acres per day burning 156,593 acres until fully contained 1 August 2011. At that time, the Las Conchas fire became the largest fire in New Mexico. In less than one week, 30,039 acres or one-third of the Valles Caldera National Preserve (VCNP) was burned. One month after the wildfire was fully contained, a series of rains resulted in exceptionally high flows and large ash input throughout streams on the Preserve. Fish surveys following the ash-laden flood events revealed a 95% reduction in trout abundance (Rio San Antonio, Rito de los Indios, and East Fork of the Jemez). The severity of the fire within the catchments of these streams resulted in variable flow and elevated sediment transfer, which have affected recovery of fish assemblages and the benthic macroinvertebrate community compared to pre-fire conditions. While density of adult brown trout have increased from less than 1.0 fish/100 m2 (August 2011) to 8.0-23.8 fish /100 m2 (May 2018), fish densities remain well below pre-burn densities (51-156 fish/100 m2). 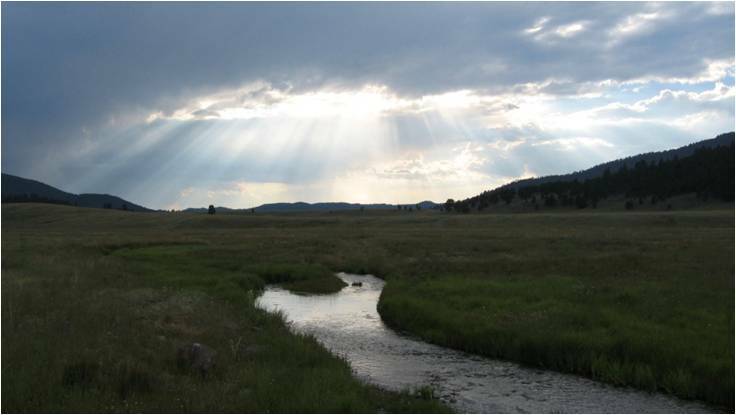 Recovery of native fish populations and the macroinvertebrate community assemblage on the VCNP are listed as priority needs for the National Park Service. Caldwell, C.A. and R. Parmenter. 2017. Monitoring: Fish populations and stream habitats. All-hands Meeting, Southwest Jemez Mountains Resilient Landscapes and Collaborative Forest Landscape Restoration Project. Santa Fe Community College.